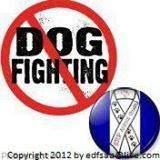 END Dog Fighting & STOP Animal Abuse - END Dog Fighting & STOP Animal Abuse - www.EndDogFighting.com American Pit Bull Terriers, American Staffordshire Terrier (AmStaff), Bull Terrier (BT), Staffordshire Bull Terrier, Miniature Bull Terrier, American Bulldog, French Bulldog, English Bulldog, Olde English Bulldog, Boxer, Boston Terrier, American Bully, Bull Mastiff, English Mastiff, French Mastiff/Dogue De Bordeaux Alpine Mastiff, The American Bandogge Mastiff, American Mastiff, Argentinian Mastiff, South African Boerboel Mastiff, Brazilian Mastiff also known as Fila Brasileiro, German Mastiff/Great Dane Japanese Mastiff/Tosa Cane Corso Mastiff, Neopolitan Mastiff, Pyrenean Mastiff, Spanish Mastiff, Tibetan Mastiff, Dogo Argentino, Presa Canario, Rottweiler, German Shepherd (GSD), and the Doberman Pinscher. 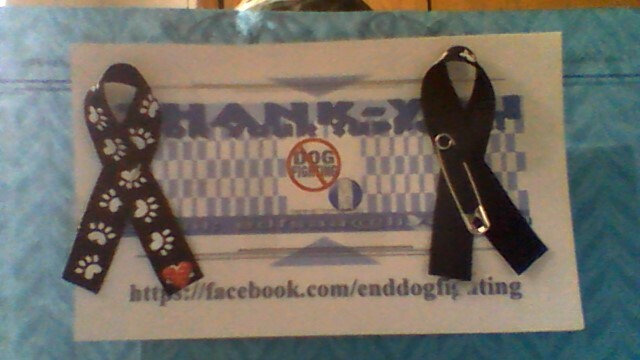 BLACK with white PAWS/﻿Heart-(Memorial-Grief) Ribbon. ﻿1) Please *CLICK* the "Add to Cart" under each ITEM you want. 2) Then CLICK the "CHECKOUT" Button at the TOP OF THE PAGE to "CHECKOUT". 3) (We will open a NEW Window at: PAYPAL.COM with all your items READY for you to CHECKOUT!). 100% SAFE and SECURE and used by MILLIONS of Happy users! 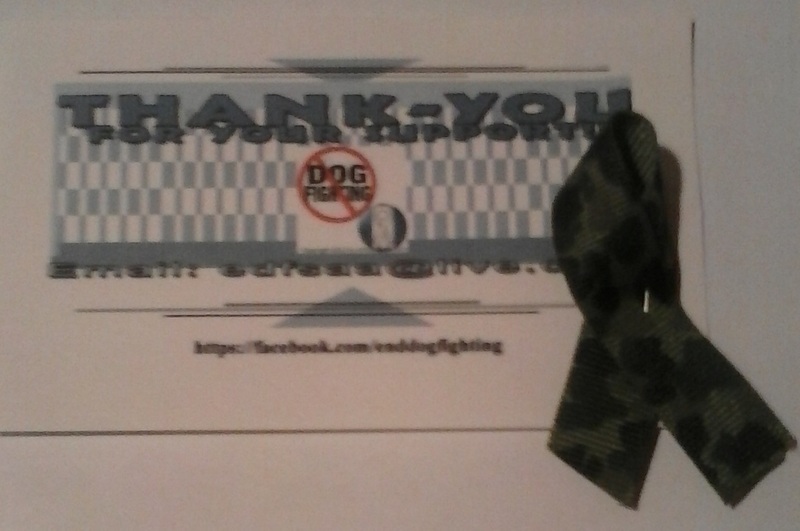 CAMMO "Support the Troops" Ribbons!! 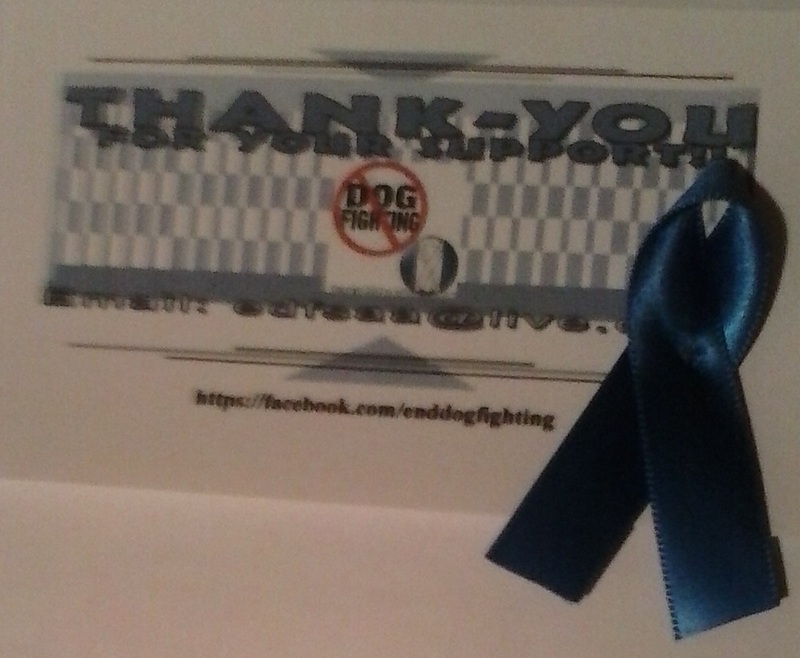 and BLUE (Police SUPPORT/MEMORIAL) Ribbon!! 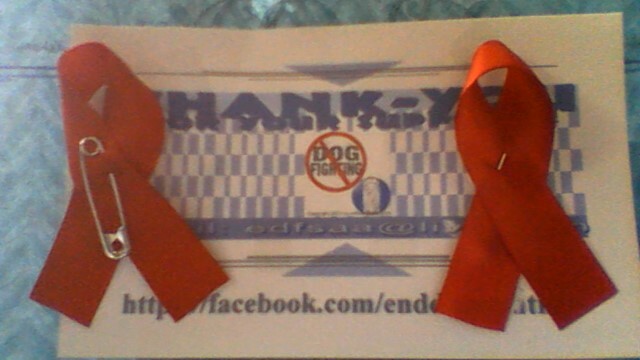 ​for your SUPPORT and your GREAT RESPONSE to our Ribbons!! 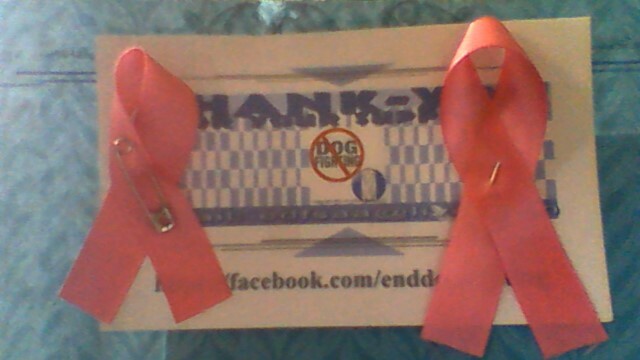 ALL our Ribbons ship to you *** FREE *** ANYWHERE in the WORLD!! Thank-You!! 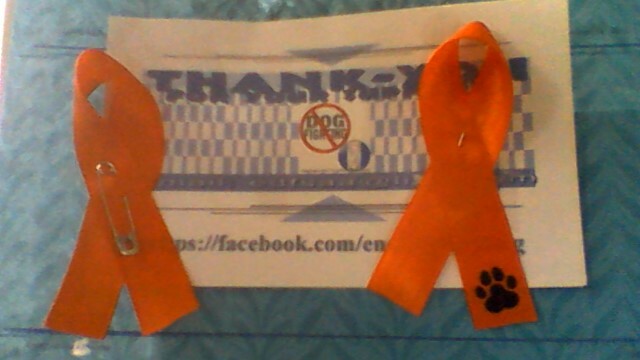 The Three (BELOW) are our ** NEW ** Ribbons AND a NEW "Kit"! 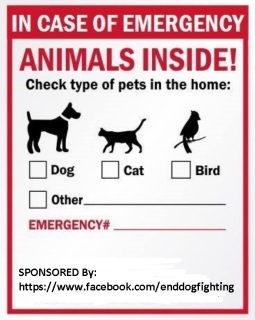 As well as more ways ** YOU ** can HELP US, HELP Animals!! 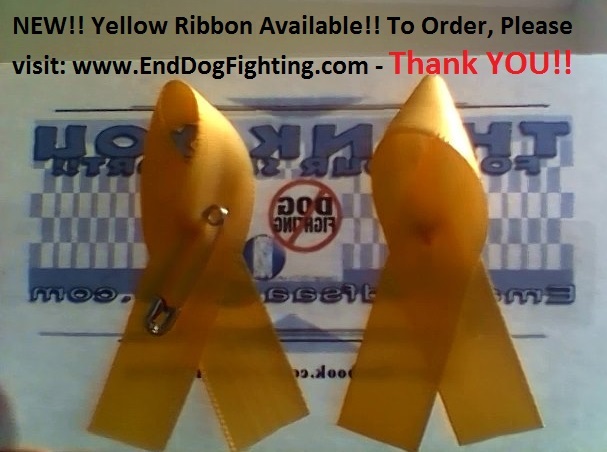 ALL our Ribbons ship to you FREE ANYWHERE in the WORLD!! 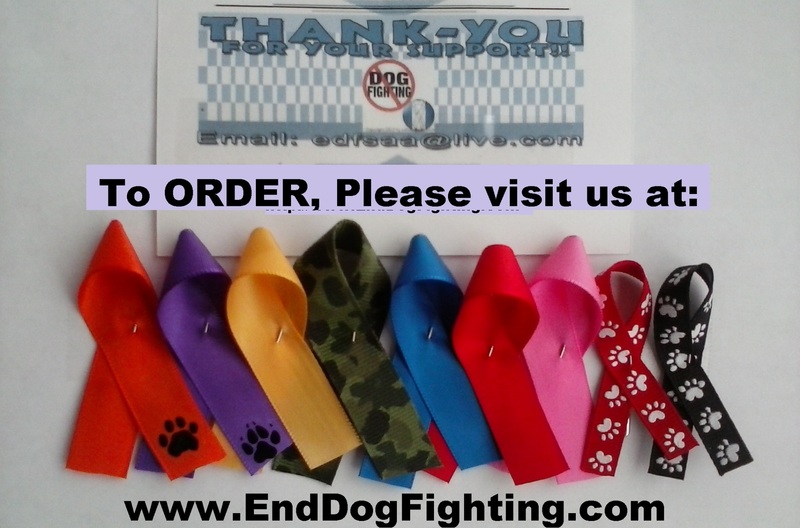 Order ALL NINE Ribbons for ONLY $ 30. You SAVE $15. Share with Friends and SAVE LIVES!! 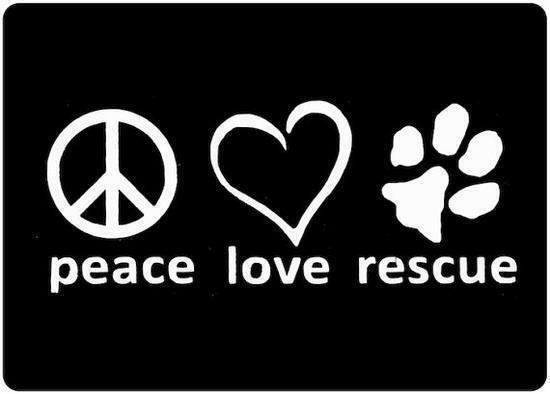 Please CHECK BACK as We WILL be offering T-Shirts with our message in several different styles soon! 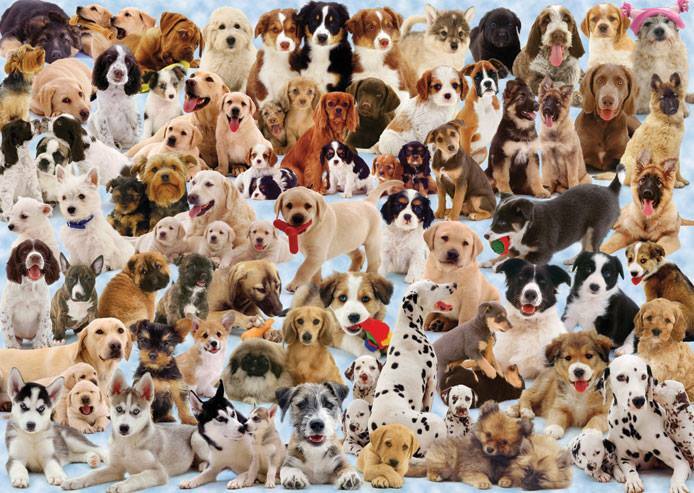 Thank-Y O U for Helping us SAVE LIVES!!! 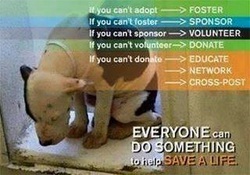 Please HELP US SAVE LIVES! Thank-Y O U!! 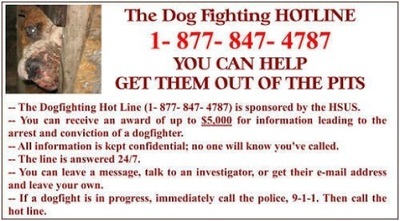 CLICK the "LINK" below for INFORMATION on where and how to RPORT Dog Fighting OR to REPORT Animal Abuse and Neglect! 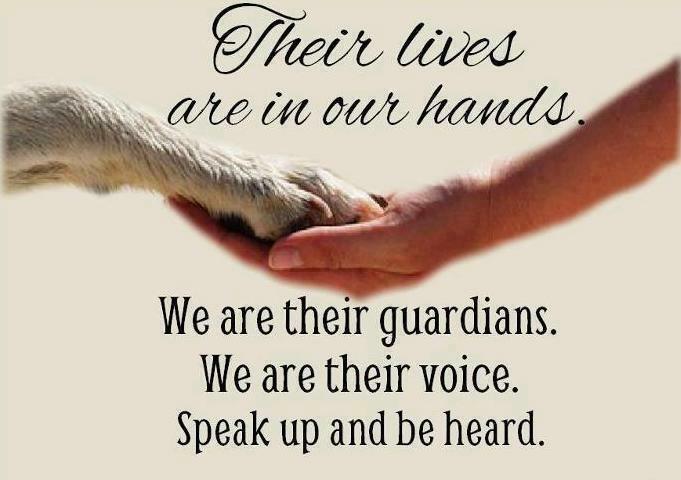 We THANK-Y O U for CARING! To learn more about us, Who we are and What we do, PLEASE <CLICK HERE> ! 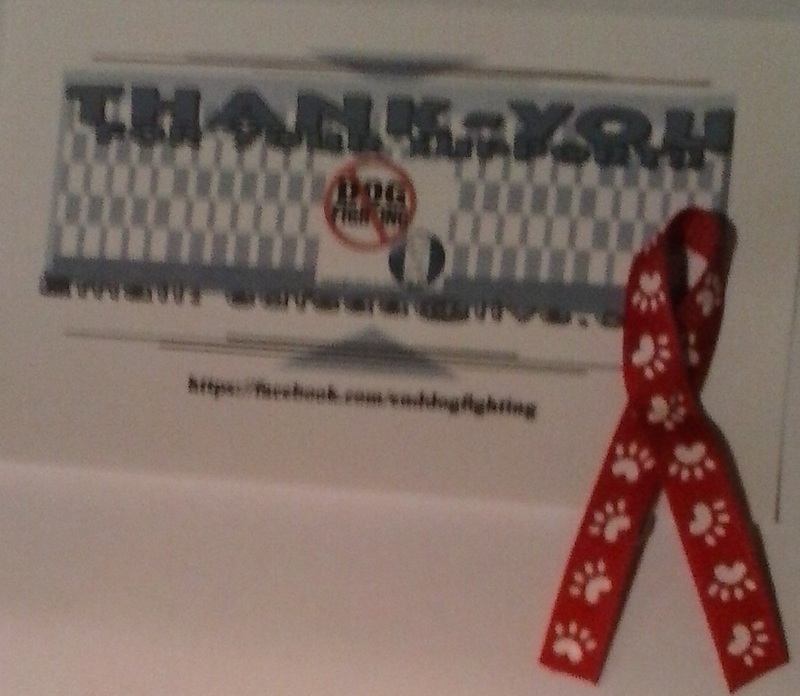 END Dog Fighting & STOP Animal Abuse!! 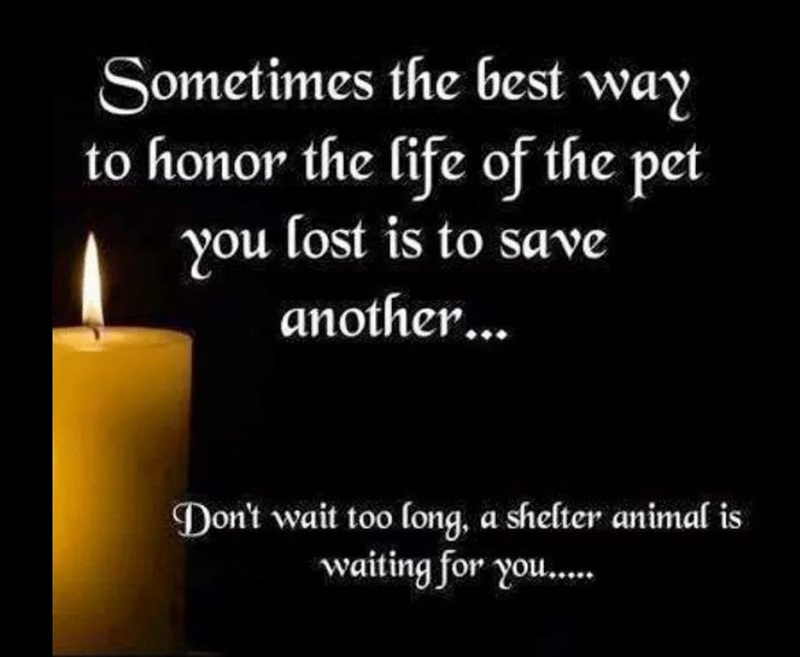 Please click "DONATE" to HELP US, HELP ANIMALS!! Thank-YOU!! 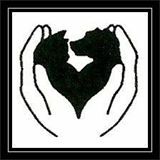 I LOVE Dogs and want to HELP!! We Thank-YOU!! 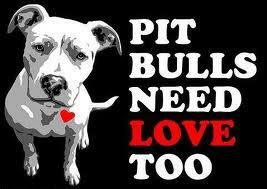 I LOVE my PITBULL Donation to HELP US SAVE THE LIVES of Pit Bulls who NEED RESCUED/REHOMED! Thank-YOU! 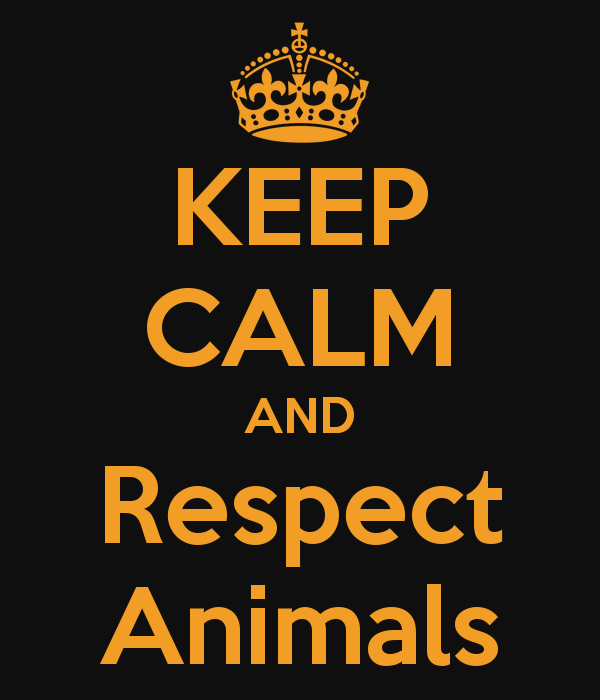 Animal Cruelty Won't STOP If you IGNORE it! Donation. We Thank-YOU!! 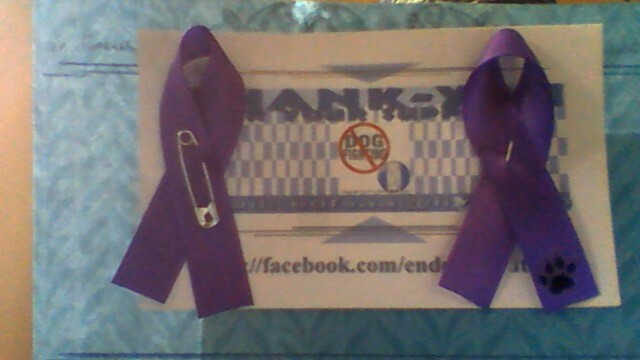 Donation to HELP US ADVERTISE, EDUCATE and RAISE AWARENESS on the VIOLENCE and DANGERS of Cruelty to Animals and it's connection to Child Abuse and Domestic Violence! We THANK-YOU! !